The Broadway is a 6-story mid-rise originally built in 1894. 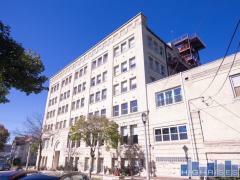 Located in the heart of the Historic Third Ward, the Broadway is close to retail, dining, and entertainment options. Have any comments or questions about The Broadway? Ask your question and/or share your thoughts about this Building. I am curious if this is a smoke free building overall? In units and in common areas? We are considering purchasing a condo in this building. What is the HOA/mo. for a one bedroom unit? I'm also wondering about the cost of parking in your garage. Do the units come with one parking space? Also, when was the boiler and other more expensive items replaced (a big reason why HOA fees increase every year)?